The world is falling apart before our consumption-closed eyes, even in a small Czech town. Supermarket, skateboard, brews, blazin’, hamburgers, tatoos, pizza, selfie. How can we live without this? Jarmil won’t tell you the answer. Jarmil is fast poetry and fast day-to-day life, in a hurry to survive. Jarmil is a cocktail of waiting around and racing around. Now we only remember the hangovers. Marek Rubec is illustrator and comic artist based in the Czech Republic. In 2016, he was a resident at the Swedish Comics Assotiation in Malmö. In 2017, he won first prize at the Prague Frame Festival. 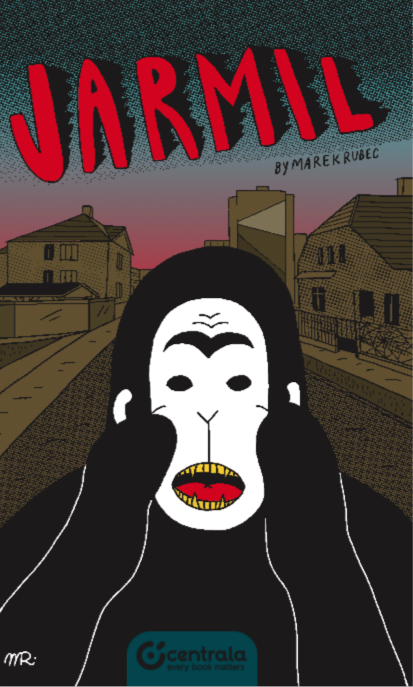 He has published several short comics with Czech and European magazines and publishing houses. He works and lives in Litoměřice, about 40 miles northeast of Prague.